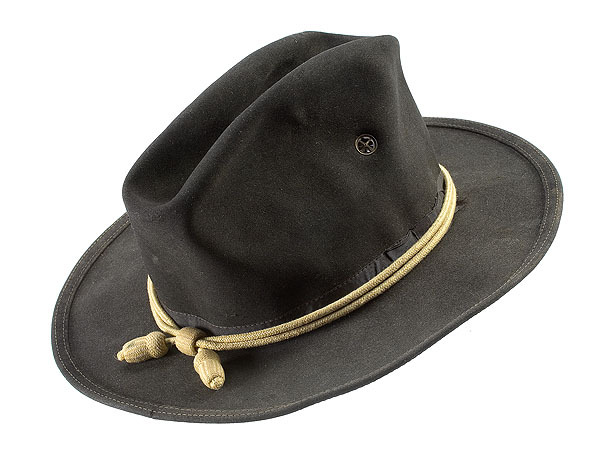 The original 1876 specifications called for a hat made with WOOL felt. This hat is only available in fur felt at this time. Open crown height (unshaped) - 6"
Leather sweat band 1.75" tall, turned over onto itself at free edge.